The Ferrari 599 GTB was designed with several specific objectives in mind: to increase driving pleasure, to guarantee performance (courtesy of technology transfers from the F1 single-seaters), and to ensure comfort, ergonomics and safety. The Pininfarina designers had a clear but ambitious goal in designing the Ferrari 599 GTB Fiorano; they wanted to clothe it in innovative lines that would still have all of the trademarks of Ferrari’s sportiest and most high performance models. The 599 GTB sprints from 0 to 100 km/h in 3.7 seconds and has a top speed in excess of 330 km/h. The car takes its name from the Fiorano circuit Ferrari uses to hone the performance of its track and road cars. ‘GTB’ stands for Gran Turismo Berlinetta, after the most famous Ferrari Berlinettas ever built and ‘599’ is the displacement of the V12 engine divided by 10! Our car was supplied new in September 2007 via G Cavallari Motors of Monaco. 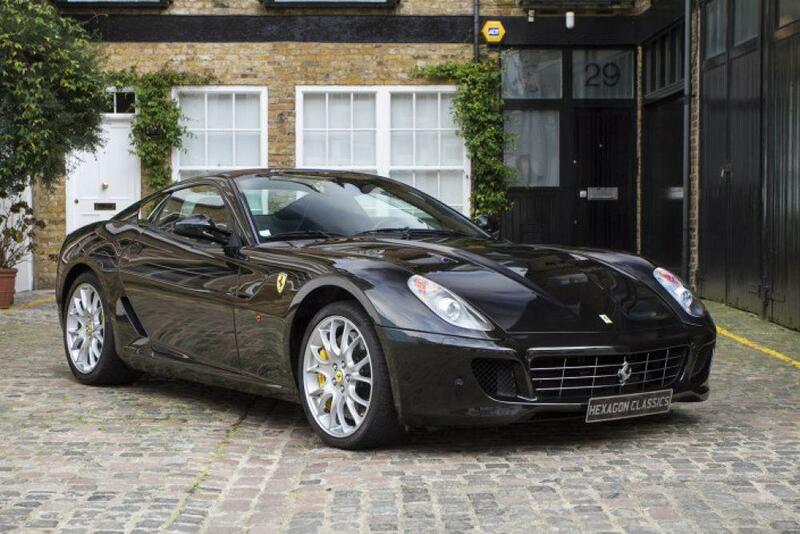 The 599 GTB benefits from a complete official factory service history from new; our post sales service preparation will also be completed by an official Ferrari service agent prior to delivery. The original and complete leather handbook pack with the spare keys also accompany this ultra-low mileage Ferrari which has only completed only 6,543 miles (10,553 klm) from new and is presented in superb order.